What Is The Most Important Tool In Caring For The Elderly? In the fourth and final episode in a series on caregiving, Dr. Daniel Amen and Tana Amen talk about the difficulties in caring for your parents or other loved ones as they approach the other end of their lives. Learn the biggest common mistake people make, and what you can do to ensure you make the best choices for you and all your loved ones. 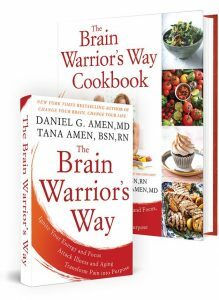 Tana Amen:	The Brain Warrior's Way Podcast is also brought to you by BrainMD where we produce the highest quality nutraceuticals to support the health of your brain and body. To learn more, go to brainmd.com. Dr. Daniel Amen:	Welcome back to Caregiver Week. We've talked about caring for yourself, getting those four circles connected, but what about the other end of life? Both you and I have older parents, mine a bit older than yours, but you've been very worried about your mom. Tana Amen:	I'm in a sandwich generation. Tana Amen:	Death in the family. Dr. Daniel Amen:	... when recently, this was fun ... She just lost a day. Tana Amen:	Yeah, she ended up in the hospital. We drove in two hours of traffic. We thought she may be having a stroke. It ended up being a UTI. By the way, for a lot of you with parents who are over the age of 60, if they present with memory loss and confusion, get them checked for a UTI first thing. She also was under extreme stress, which can trigger things like memory loss even momentarily, like for a day or a half a day or a couple hours. It can trigger weird behavior like that. That, combined with some sort of virus, can be problematic. Dr. Daniel Amen:	Taking care of yourself, taking care of your marriage because we do that ... We get to share the stress. Tana Amen:	Because we are good partners, and I love what, during Grief Week, Sandra said we invite each other into ... She said, "grief," but we invite each other into our stress, and we help each other. 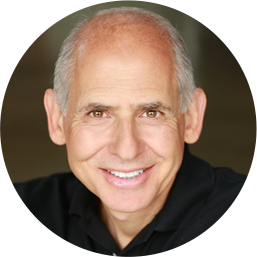 Dr. Daniel Amen:	Into our caregiving. Tana Amen:	If I'm stressed, he's my person. When you are, I want to be your person because we strengthen each other. Dr. Daniel Amen:	If you don't have someone, that's why building a positive network at church or in your community is just so important. It could be why social isolation is one of the risk factors for Alzheimer's disease because with it, you have no one to share these hard times with. Get the right medical help, make sure your mind is clean of automatic negative thoughts, try to be connected as much as possible, and see the purpose in it. I know, for the last five years or so, I've been very close to taking care of my dad who had a heart arrhythmia, who had heart failure, who has chronic back pain. You can go, "Oh, well I don't have time for that," but in my head, he turns 90 in May. Tana Amen:	There's nothing more important. 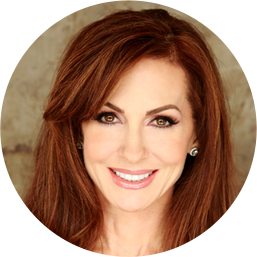 Dr. Daniel Amen:	I have no idea how much time I have with him left. Every day is a gift, so what is it I can do today to make his life better because that is purposeful to me. It's also why I'm generally very nice to my own children because I know at some point, they're going to be taking care of me. Tana Amen:	If you are in the sandwich generation, which I am, and a lot of people my age are, you're taking care of children, sometimes you're taking care of children with disabilities, and you're taking care of parents that are now beginning to have disabilities. That's when it's really critical to take care of yourself and get some help because you can get burnt out really fast. I've learned that quickly. Dr. Daniel Amen:	Here at Amen Clinics, we are here for you whether you have a child with ADD or learning problems, autism, behavior problems, or you're struggling in your marriage or your moods, or you have someone at the other end of life that's really struggling with their mind or their memories ... That's what I love about our work. We see little kids and old people and everybody in between, and we can provide that support for caregivers. Seven times out of 10, it's often a caregiver who's calling the call center saying, "I need help." Tana Amen:	So often, there are resources that you don't even know about it. When my sister was going through a really hard time, one thing we learned is that there are people who volunteer their time within the system. Within the system, we had people volunteering and giving her rides, volunteering and helping her go to the grocery store, crazy stuff. They do this as their act of service, so actually look into what services are available for you because most people aren't even aware how many there are. If you're enjoying the Brain Warrior's Way Podcast, please don't forget to subscribe, so you'll always know when there's a new episode. While you're at it, feel free to give us a review or five-star rating as that helps others find the podcast.